• GREAT LOCATION ON BEAUTIFUL QUIET STREET! EXCEPTIONAL MAINTENANCE THROUGHOUT! Brand new shingles! Siding, soffits, fascia, downspouts have been replaced. Two mid efficiency furnaces and more! Nilfisk vac system and attachments. WELL BUILT AND HAS HAD CONSISTENT OUTSTANDING CARE! Beautiful yard and gardens! Attractive pristine landscaping! You will enjoy this fabulous home which flows with living, dining, kitchen/nook, family room, bedroom/den and bathroom on main. Upstairs boasts three bedrooms with hardwood under carpet, full bath and master 3-piece ensuite. Basement has rec room and bedroom. Double Garage with one high door for recreational vehicle - come and check it out! FABULOUS LOT & WEST BACKYARD IN SOUGHT-AFTER MAPLE RIDGE!! WATCH RECENT SALES IN MAPLE RIDGE-PRICES ARE UP HERE FOR THE RIGHT LOCATION!! LOCATION, LOCATION! NO MULTIPLE FAMILY DWELLINGS HERE!! FABULOUS!! • Spacious 4 Level split on corner lot! New carpets throughout. Bright, open kitchen with large island, vaulted ceiling. Laminate flooring in living, kitchen and dining rooms. Master bedroom with 4 piece ensuite. 3 Bedrooms upstairs! Lower level family room with walkout to back yard and Huge 24 x 24 detached double garage! Paved lane. Great location in popular Woodbine is close to shopping, amenities, playgrounds and Fish Creek Park! You can walk lots here if you love and enjoy the outdoors! Very affordably priced for such a wonderful neighborhood! Write your offer now!! • Perfect family home in Superb location backing on Maple Ridge Golf Course! MAGNIFICENT, INCREDIBLE VIEW OF LAKE AND FOUNTAIN!! Large custom built two storey with six bedrooms and two full baths upstairs including master ensuite. Spacious main floor has family room, living, dining, kitchen with nook and bathroom. (MAIN FLOOR IS WHEEL CHAIR ACCESSIBLE). Upper and lower decks with great access overlook beautiful BIG SOUTH BACK YARD and GOLF COURSE! This is an AMAZING home offering lots of square footage. Solid structure on outstanding lot with 65 ft. frontage x 110 ft deep. 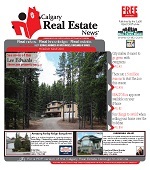 Here is your opportunity to live BACKING ON WONDERFUL MAPLE RIDGE GOLF COURSE in this beautiful City of Calgary. Close to shopping, amenities and easy access to downtown and major transportation routes. FABULOUS MATURE NEIGHBORHOOD!! LOCATION! LOCATION!! LOCATION!!! ALMOST INNER CITY. PRIVATE. HUGE LOT. NO MULTI FAMILY DWELLINGS! CHECK THIS NEIGHBORHOOD! PLEASANT SURPRISES ALL AROUND! !